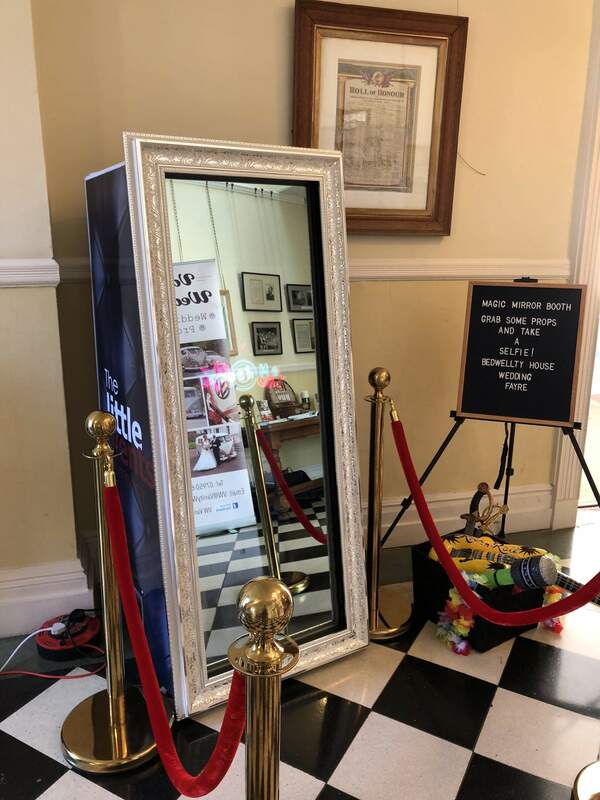 We were one of the first companies in South Wales to have the Magic Mirror Booth. Where we lead, others follow. Since then, we've upgraded our booth and always ensure it is up to date with the latest backgrounds and captions. 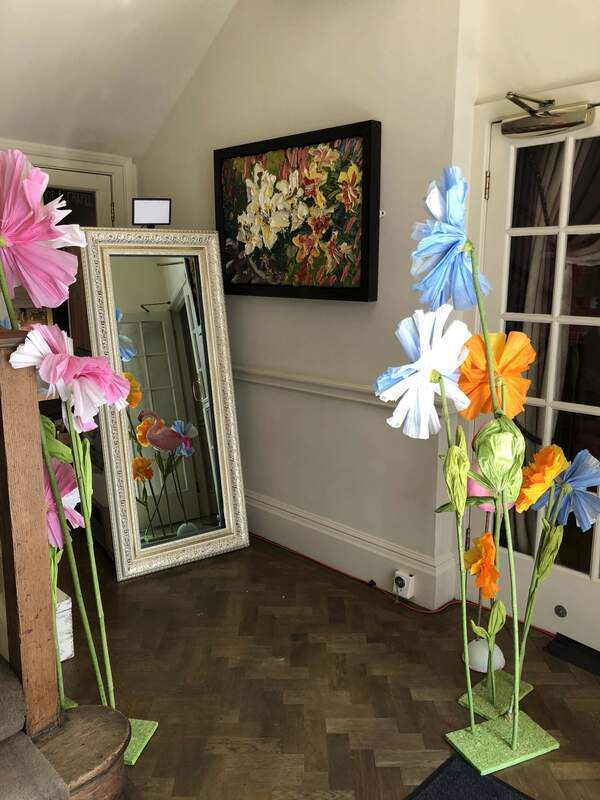 Our booth can be taken upstairs, fit into a family home or small space. The older Magic Mirror Booths came in huge fight cases that were ugly and unattractive. Our booths have attractive "skins" that allow them to look stunning in any venue. These "skins" can also be customisable should you wish to have your logo or branding on. Most people have now experienced the fun of a Mirror Photo Booth somewhere. Its great way to entertain your guests and to give them a keepsake of the night. 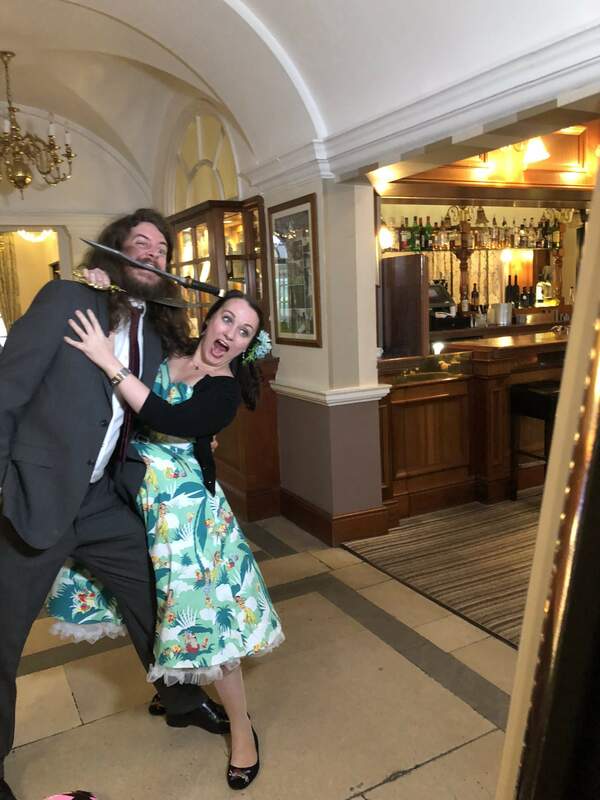 It works exactly the same as a traditional Photo Booth but has no walls to trap your guests. 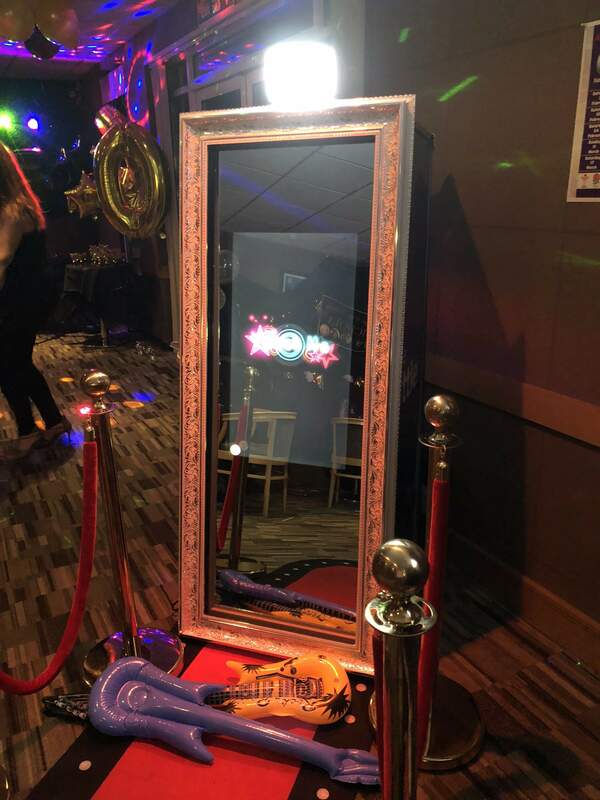 Before you book your Magic Mirror Booth, check that the company has lots of great five star reviews that are relevant to booking a Magic Mirror. You wouldn't hire a DJ to bake your cake, or a florist to provide your wedding photographs. Covering Mid & South Wales, from Chepstow, Newport, Cardiff, Bridgend, Swansea, Carmarthen and Pembroke. 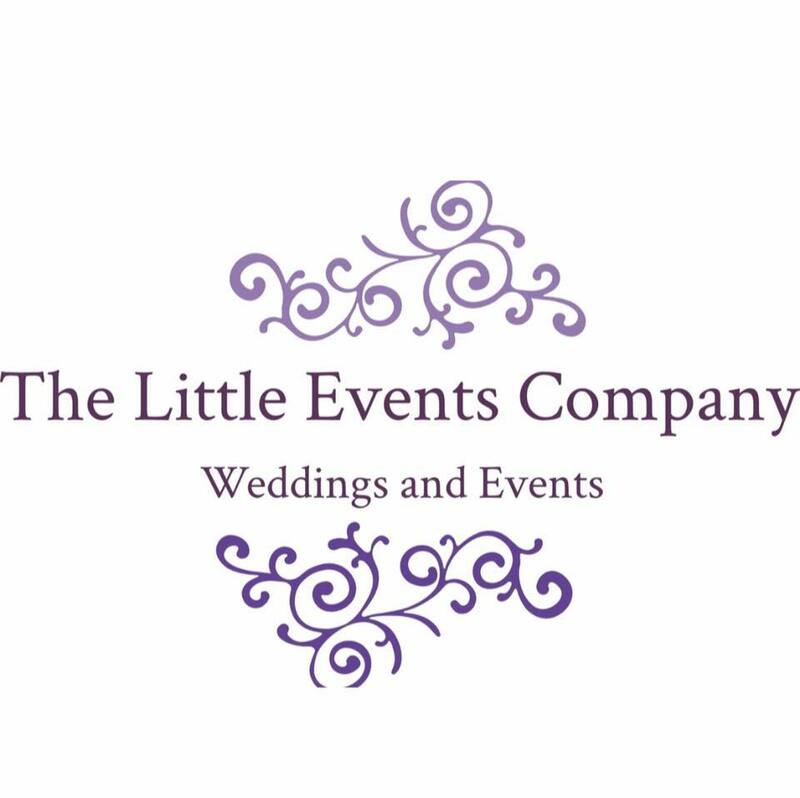 Based in Ebbw Vale and trusted by many of South Wales top hotels. Only an hour from Bristol, Gloucester, Cheltenham and Hereford. With Multiple Booths, we can take larger bookings, requiring more than one booth. 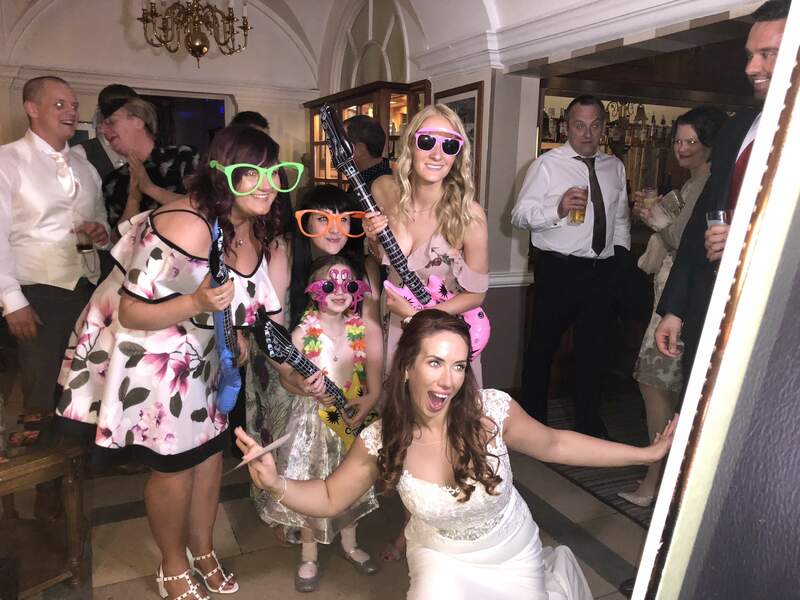 Review from Carly Turner, March 2018: "We hired the magic mirror for our wedding on the 24th Feb and Wayne and Sarah were absolutely amazing and the mirror was a massive hit with all our guests!! Would highly recommend to anyone! 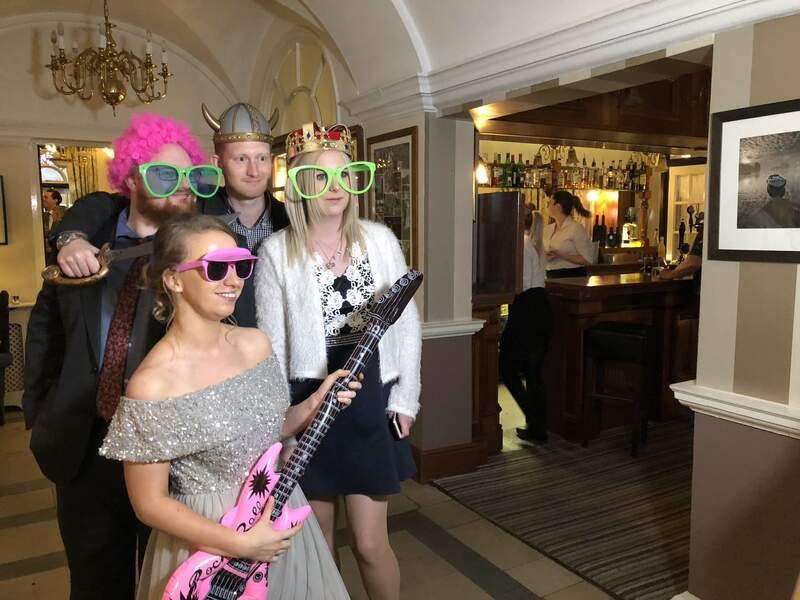 !�"
The Magic Mirror Photo Booth is the latest photo booth concepts. This selfie mirror captures full length photos using a touch screen reflective screen. We are now on the second generation of booths and are widely regarded as a 5* Magic Mirror company. Don't believe us, read our Magic Mirror reviews on Facebook. Located in Ebbw Vale, we hire to across the Valleys, Newport, Cardiff, Swansea, West Wales, Hereford, Bristol, Cheltenham and Gloucester. 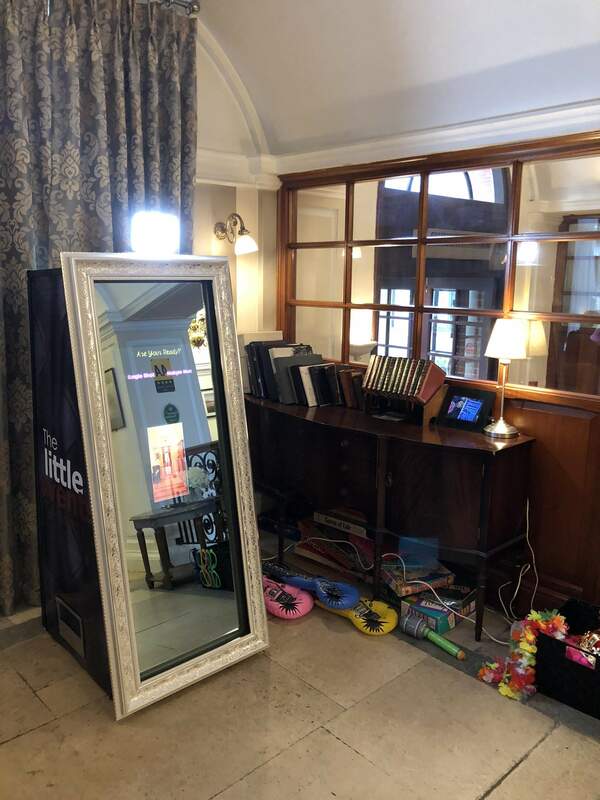 We have our portable Magic Mirror Booths with a slim, elegant design. 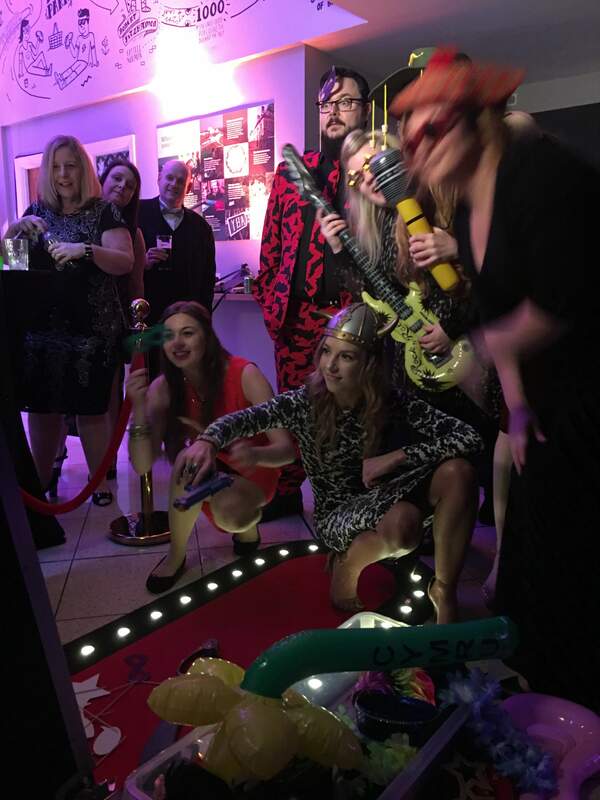 Using a 5ft mirror, the Magic Mirror photo booth "talks" and "interacts" with guests, enabling them to have individual or group pictures. 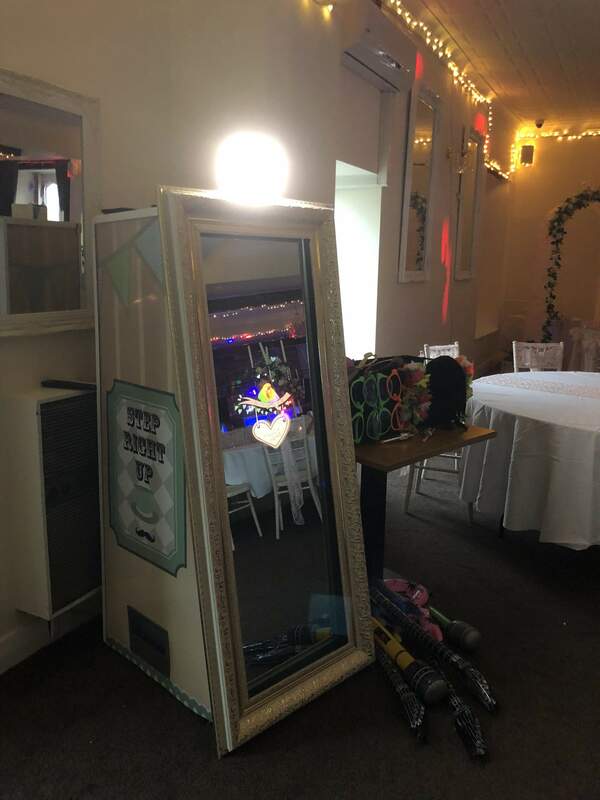 This photo booth can also fit into much smaller spaces that traditional booths could never fit in to. Traditional booths can easily take over ten foot up in space. 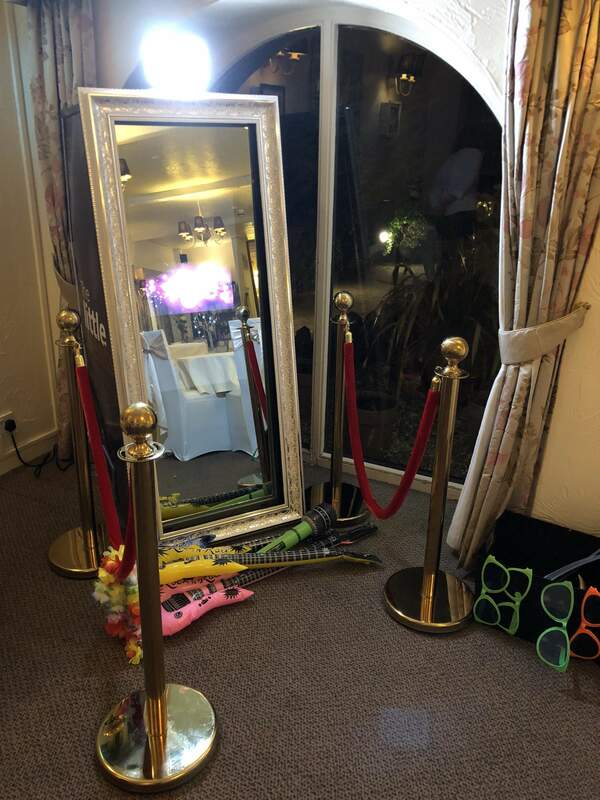 Our Magic Mirror photo booth takes up the same space as a washing machine. It's ideal for taking pictures of couples or groups of people. For Corporate customers we can even change the look of our booth so its company colours and Logo. 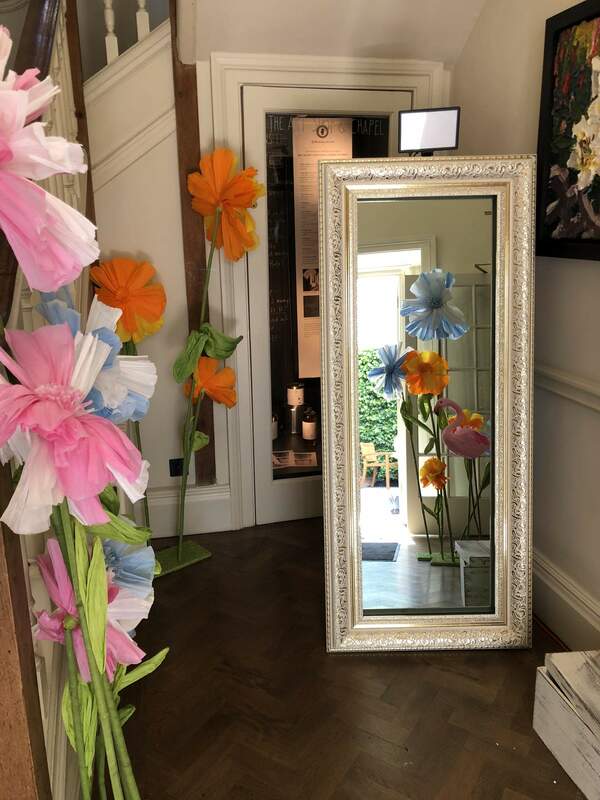 Children will love this selfie mirror, as it interacts with them, the touch screen is very user friendly and very easy to use. Photo booths have never been so cool. We can also bring a stool for children to stand on to help make them taller. Book now and get a free guest book! 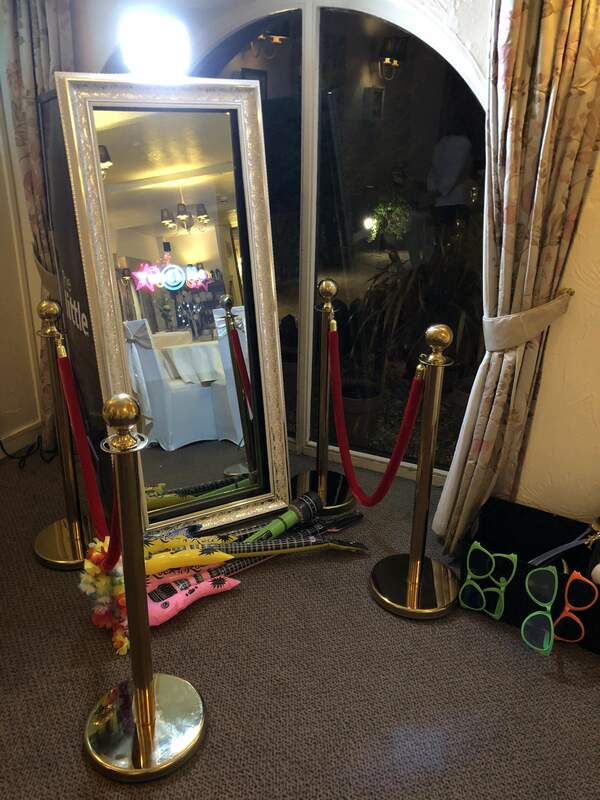 Ideal for weddings, the Magic Mirror offers a more classy option than the traditional photo booth. It just looks like a 5ft mirror, with a beautiful guided frame. Here are some examples of packages that can fit any budget, for any event. The bronze package is perfect for those wanting to wow their guests on a slightly smaller budget. A single set of prints are included as standard. 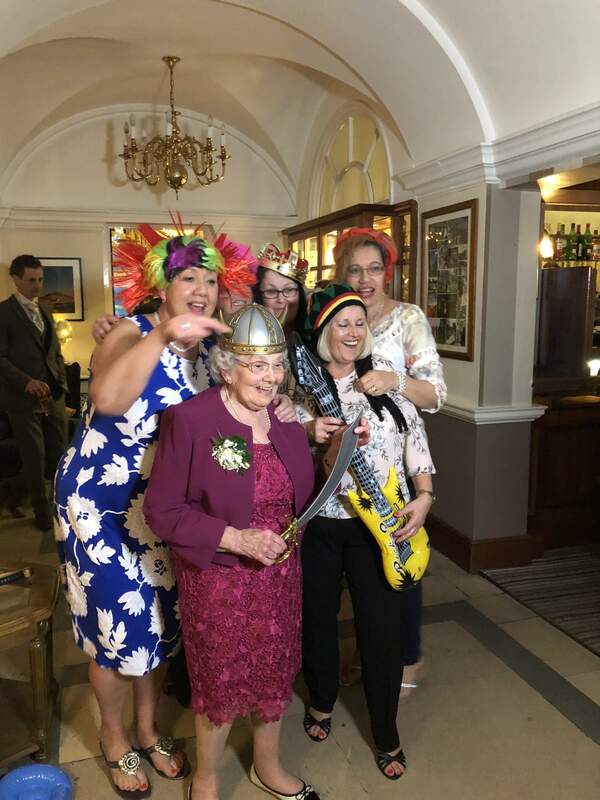 This package is perfect if you want a little more time for your guests to make the most of the booth. A single set of prints are included as standard. Our Gold package is perfect for weddings or special occasions, where you will have a beautiful guest book at the end of the night. A guest book and a double set of prints are included as standard in this package. Unlimited prints are available at an extra cost. How about using our green screen? you can "virtually" transport your guests to the Vegas strip, a remote beach or to a movie backdrop. Choose your own image as a backdrop from 1000's of images. This enables your guest to be transported anywhere from The Rockefeller Centre at Christmas to The Top of The Empire States Building. Try our 4ft LED letters that can read "LOVE" etc. Or our 4ft white letters. We can also make personalised key rings at your event.